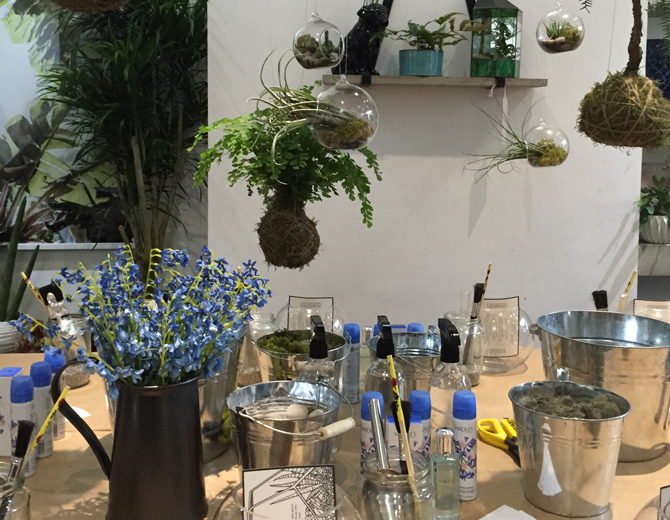 One of the great things about blogging is being asked to really interesting launches and events and last week I was invited to the launch of Yardley‘s new fragrance English Bluebell. 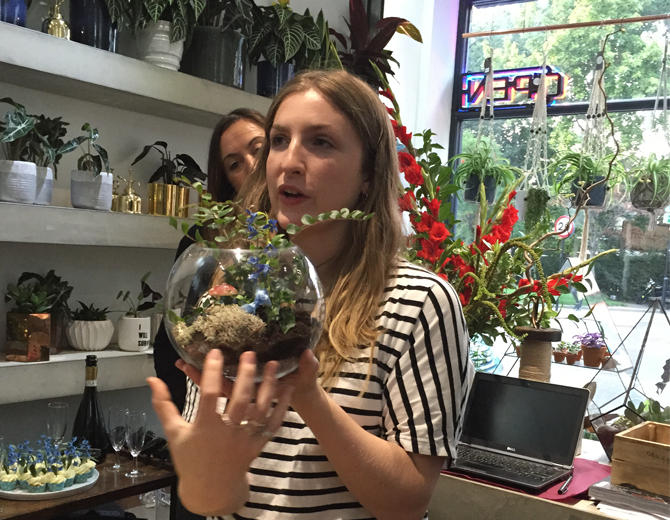 A group of bloggers gathered at the Hackney based florist Grace & Thorn to hear about the products and to learn how to make a terrarium. 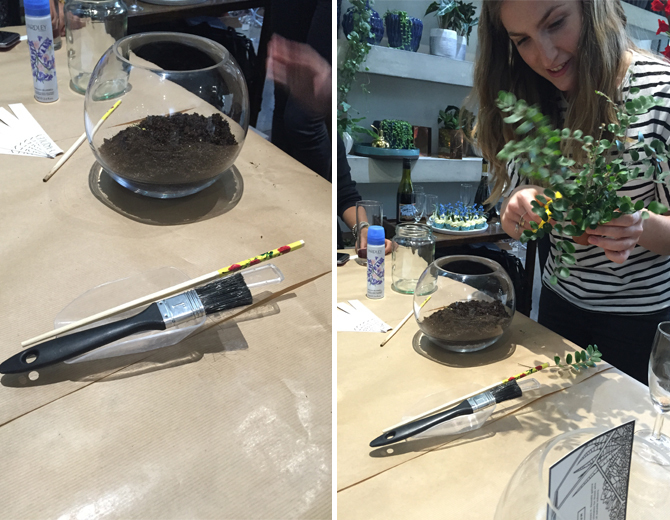 Terrariums are having a bit of moment, along with succulents, cacti and house plants in general and I was keen to try out making one. 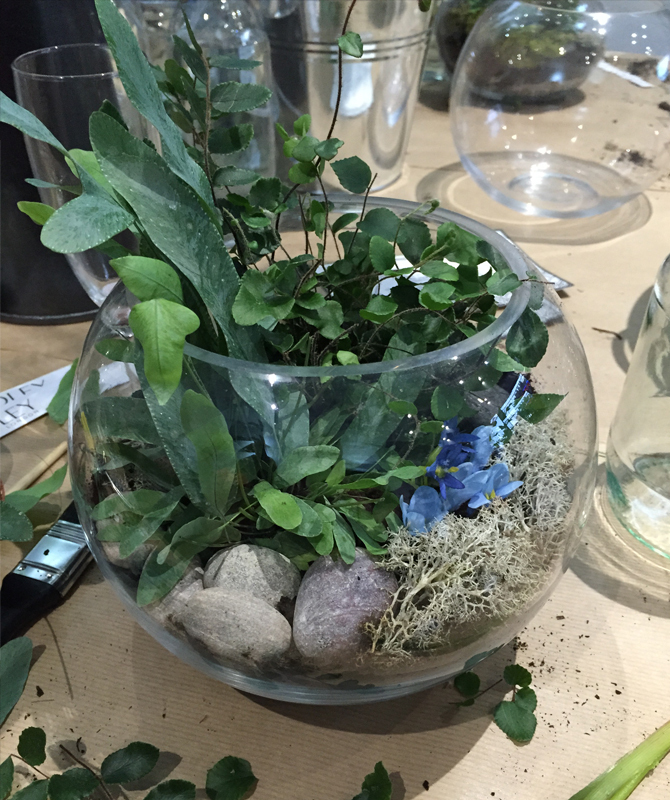 It turns out it’s really easy and requires nothing more than a round glass bowl (an old fish bowl would do) some pebbles for drainage on the bottom, compost, plants (we used ferns), moss and some bigger pebbles for the top. Layer the smaller pebbles on the bottom, add the soil, hollow out some space for the plants, make sure they are firmly embedded and add moss and bigger pebbles at the end. 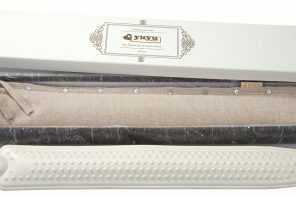 Spray regularly with water and it will form its own mini eco system. 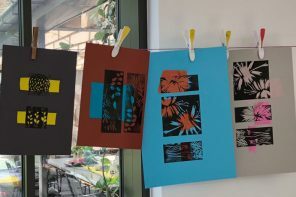 Below is my attempt, which is currently taking pride of place in the USP studio. 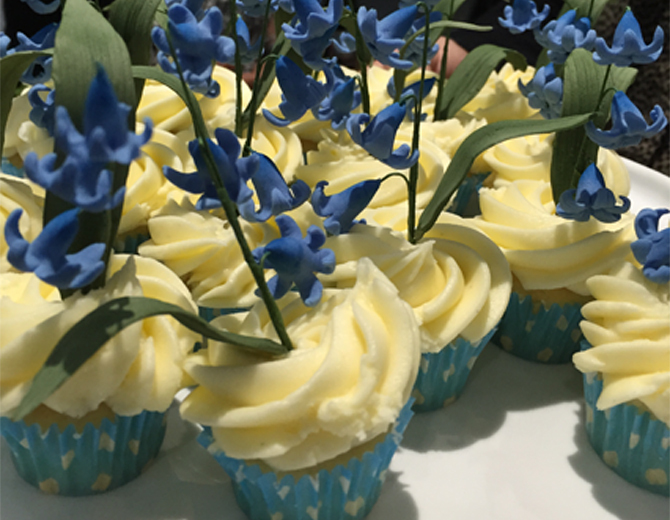 To celebrate the launch Yardley also made some delicious cupcakes decorated with icing bluebells. English Bluebell is a light, feminine and fruity yet floral fragrance, with bergamot and cassis top notes, followed by a flirty heart of bluebell, jasmine, lily of the valley and peony accented with a touch of peach and enhanced with smooth, woody notes, vanilla and musk in the base. 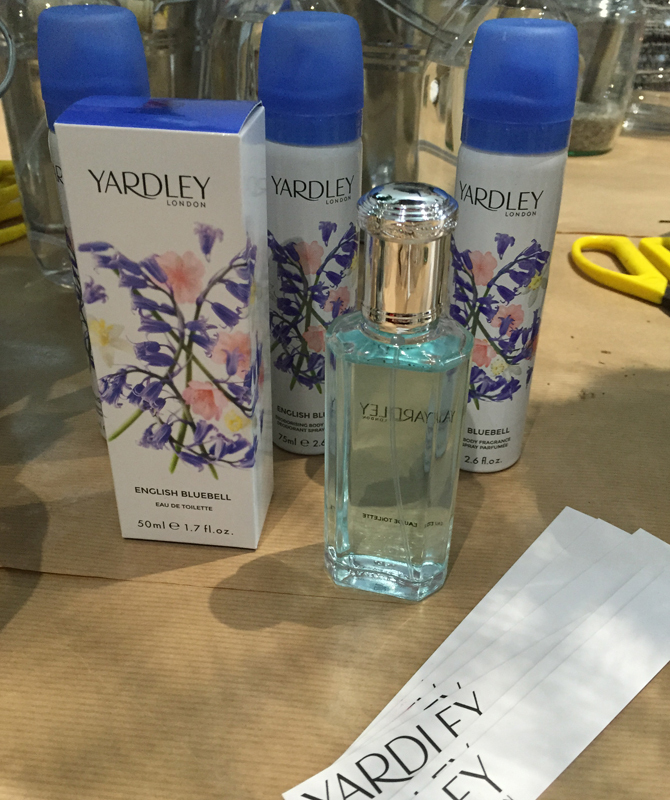 Yardley are trying to appeal to a younger customer with this product and have updated the design as well as introducing a new fragrance – sorry guys, but personally I think Yardley is still a brand that resonates with an older consumer. 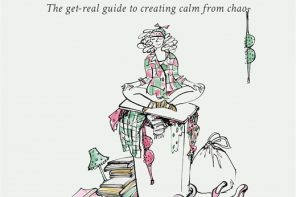 So a great one for mums and aunties – after all, there are only 16 Fridays till Christmas. There are some intriguing points in time in this article but I do’t know if I see all of them centre to heart. There’s some validity but I’ll take hold opinion until I look into it further.